Can you feel the kilig? 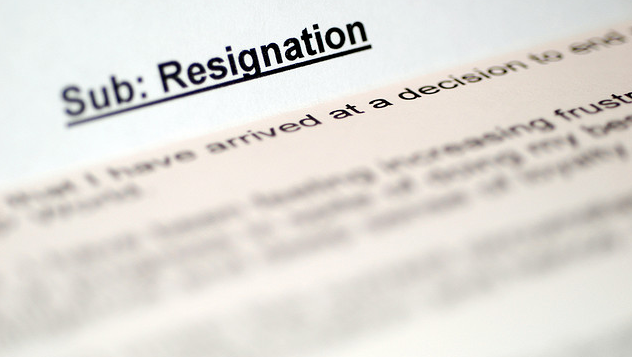 Once you submit your resignation letter, it’s like the weight of the world has been lifted off your shoulders. You return to your desk with a smile on your face, and you even chat a little with the officemate you’ve always secretly disliked. You suddenly feel that everything is possible, and you start looking for things you can do right after your last day. Would flying off to the Maldives be a good decision this time of year? Sure, you’re going to miss your officemates, but there’s a certain kilig in knowing that you’re off to a new adventure. Just make sure to inform everyone that will be affected by your resignation. This will help avoid loose ends. Send out a detailed email about your last day, including the people they can contact to fill in your post for the time being. You don’t mind waking up early and heading to your office anymore—after all, you won’t be doing this for long. Now that you have something to look forward to, you have the drive to finish all your pending tasks so that you can leave your office with no regrets (and no ‘sabit’). Clearing up and out your PC and your cabinets can be a very tedious job, especially if you’re not in the habit of throwing out things on a regular basis. You may need to bring an external hard drive to copy all the K-drama series that your office BFF have sent you (aminin, you have loads of it in your computer), and you’ll need to create a neat filing system for the physical documents you’ll leave the company. Make sure to make time for this, as proper turnover is an important factor in processing your backpay quickly. While clearing out your drawers, you find the sash your boss gave you when you won “Queen of the Night” back in Christmas 2010. You also find your old notebooks, lists of projects you managed to close, plus old photos of you and other officemates who have gone before you. Then you’ll realize that despite all the headaches and anxiety attacks, you actually had a good run. And you’ve made it. Spend your last day having lunch with your team and helping out with small things. Close this part of your career with a smile, but once you walk out the door, leave all the negativity that pushed you to resign behind. Take only with you the good memories, the friendships, and the lessons you’ve learned. Whatever you say, the company you’re leaving still taught you a lot and helped you become the mature woman that you are. Now go climb that career ladder, you know you're ready for it.